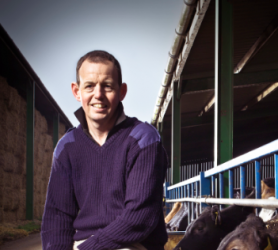 David manages Kingston Hill Farm Ltd, a family owned farming company operating dairy and beef farming enterprises in the Thames Valley some 10 miles to the west of Oxford. After graduating from the University of Newcastle Upon Tyne in 1990 he spent 9 months milking cows in New Zealand before joining the family business which farms 1400 acres of rented land on which 750 cows are milked and up to a further 800 cattle are reared. He is a former chairman of the Maize Growers Association, has been a director of the Orion Farming Group (a farm input buying group), was a farmer director of Milk Link and now sits on the Board of Representatives for Arla for which he chairs the UK Brexit Farmer Taskforce. He sat on the Farming Regulation Task Force Implementation Group and is a Regional Advisory Board Chairman for the Midlands region of NFU Mutual. David is a Trustee of the Oxfordshire Agricultural Society Trust, a charity which gives financial assistance for training and development to young people living in Oxfordshire and engaged in the agricultural sector. Away from the farm he is Chairman of the 1st Longworth Scout Group, is married to Catherine and they have three children, Thomas age 20, Matthew age 16 and Nancy age 11. In any spare time left after all the above and acting as a taxi driver for the children he enjoys watching rugby and is getting back into racing sailing dinghies where he can usually be found somewhere at the back of the fleet.